5 Quick Tips for a Better Job Search Right Now! 1. Set targets to meet – but don’t be too hard on yourself! Let’s be real – time is a valued yet extremely rare commodity in our lives today. With what free time we do have, all the little things that need to get done build up until we realize we are back at the beginning of not having enough time to finish everything. Start simple, start small. It’s a common thing to get yourself into a frenzy and set a million goals for yourself, then feel disappointed when you haven’t done the whole million. And as tweaking your CV and creating awesome cover letters that are specifically appealing to each individual hiring company takes quite a bit of time, don’t be hard on yourself. You can do this. Try saying that you’ll apply to 2-3 jobs a day. Or maybe, if that’s not your pace, say 2-3 a week. That’s totally fine! What matters, at the end of that week, is that you can look back and be proud of the steps you took. Because every journey of a thousand miles will begin with a small, single step. 2. Be ready for a video interview. The younger generation (made up of hiring employers and job seekers alike) are becoming more and more comfortable with the technological world, and because of it, are using it for everything – including the steps along the career path! A lot of companies are now conducting interviews over the computer, via Skype or some sort of video chat. This may leave some people scared, as they are unsure how to present themselves across this platform. It takes all the important things we are taught about interviews – a steady handshake, direct eye contact, a fantastic professional outfit – and skews them. But it’s also super important to ace, as it could show a potential employer that you are embracing this technology rather than being afraid of it. You can still use that great business outfit to amaze them in the interview though – and don’t forget to smile! Some tips include could include practicing a mock video call with a friend to get used to how it works. You could even record it to see how you come across via a video chat. On that day, make sure your surroundings look clean, and that you are in a closed off, quiet location – I’m not usually a betting gal, but I’d go ahead and say that I don’t think the employer would want to see your flat mate walking around in the background in his underwear, just waking up. BONUS: Cheating is allowed?! Have a paper with important news about the company, potential talking points, or any questions that you might want to ask. Obviously don’t read it word for word – but just know that if you get a little nervous, it’s okay and you have your notes there for a quick glance and reassurance! 3. 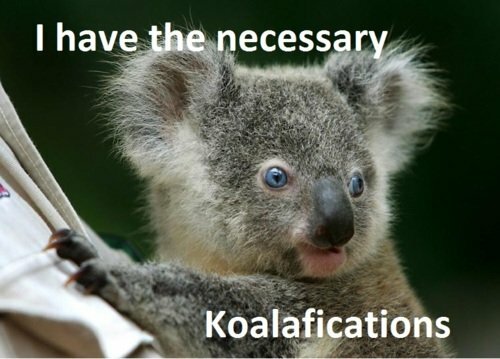 Make sure your qualifications stand out on your CV! It’s important that you don’t just write tons of generic bullet points of responsibilities for each job/work experience – really make them stand out and highlight your accomplishments and skills! Studies show that now a days, on average, employers only spend about 8-10 seconds looking at a resume. If yours appears too generic and doesn’t stand out enough, they might just fly right by it. Write maybe only 3 or 4 per job, and remember: employers know what the basic duties of the job that they’re hiring for are. It’s up to you to show them how you really went above and beyond to make these ordinary tasks extraordinary! – Answering telephone in a highly efficient, professional, and friendly matter and connecting the calls to the correct person. – Ensuring all clients and guests are greeted in a warm and timely manner, and ensuring their happiness and comfort while they wait for their appointment. – Proficient in entering data across Microsoft Office programmes, including Word, Excel, PowerPoint, etc to maintain records and organize documents. – In charge of organizing and maintaining all office supplies, and making sure to order them to ensure that company’s always well-stocked. 4. Don’t over-apply to jobs! Be careful! Contrary to what you might have been told, don’t apply to every single job you find! In the end it will honestly do you no good. If you apply to a literal mind-numbing amount of jobs, the chances are that your cover letter writing skills and fine tuning of details on your CV will decrease until the point where, let’s just say it, they are terrible. A huge thing that employers are looking for is your enthusiasm about the company. How can you retain this enthusiasm when you’re on your 567th cover letter and your eyes are kind of going weird? If you’ve been copy-pasting a generic letter, odds are that the companies might notice and therefore think you’re not 100% behind working for them. It’s important to give your full attention to each one that you write, and make sure that it not only highlights your skills but also highlighting their company. Customize it and include a little blurb about what you like about the company, and why you think you’d be their perfect fit. 5. Try something new – use Twitter to find more job postings! Job postings aren’t free – and to call them cheap would be lying. Whether companies or recruiters advertise on websites or in print, it costs them a lot of money for that ad space. And sometimes, searching through all those online postings on the same job sites can kind of drive you crazy – you can crave something to shake up the monotony! Here’s where Twitter comes in! A lot of hiring employers have now turned to the very strategic and very free platform of Twitter. They can post hundreds of jobs across all sorts of sectors, reaching an audience of millions in just a few seconds. Try using it, and browsing through different hashtags for whichever sector you are interested in – like #healthcarejobs or #salesjobs. You can also try a more generic hashtag like #jobsearch or #findajob as well if you are unsure! It’ll provide a fun way to click and find applications, and a lot of times the recruiters and companies throw in some fun humor on their pages as well to keep you motivated. Try following @StrikeJobs for both humor and job postings!!! Good luck! You got this. Remember that if you don’t get the job, it’s not a complete failure, it’s just a valuable lesson. The real failure is not trying. This entry was posted in General Posts and tagged cover letter, cv, CV help, find a job, interview, job help, job search, job seekers, recruitment, twitter, video interview. Bookmark the permalink.